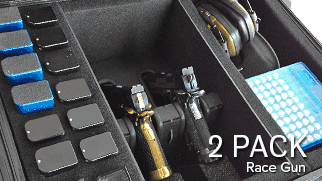 The CaseCruzer Universal Quick Draw Multiple Handgun Case Series are not your average foam cases. With a durable molded plastic interior and rubber cushioned trim, these cases will last you a lifetime. 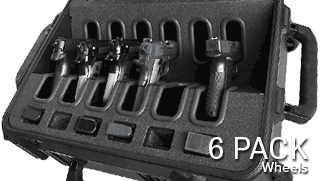 Handguns and magazines are held in place inside individual slots. Rubber cushioned slots safeguard each handgun and keeps them shifting from side to side while in transit. 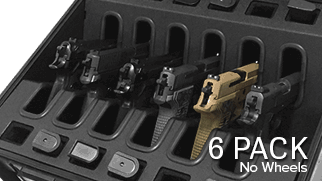 Upper cushion design holds pistols in optimal position and prevents any upward movement. 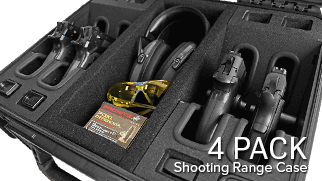 Shooting Range solutions also allow for accessories such as safety glasses, shooting earmuffs, ammunition, etc. to be stored. 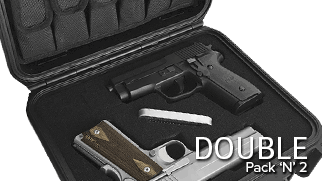 Multiple Handgun cases are watertight, dustproof, and lockable. 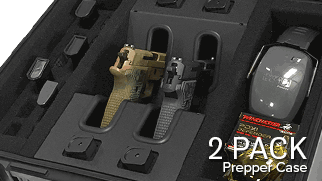 These handgun cases are made to hold one or two handguns and magazines. 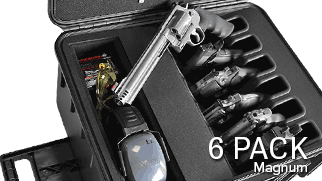 Pistol cases do not have wheels. Cases are lockable (locks not included). 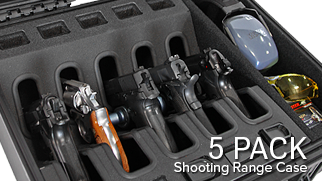 The Quick Draw Series Multiple Handgun Cases are the true definition of Universal. Holds Semi-automatic handguns up to 9.25 inches in length. Holds revolvers with a 4 inch barrel or less. 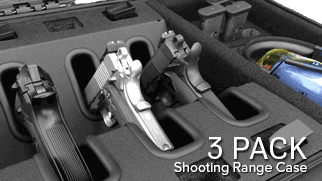 Holds subcompact pistols by simply altering the position of how the handgun is placed. Removable magazine inserts allow for different traveling options. Whether used at an indoor range or outside at a competition, the Quick Draw's durable molded plastic interior with rubber cushioned trim will not erode after various uses. 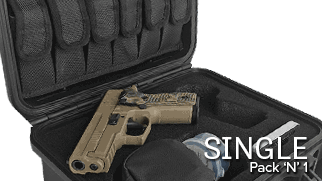 Handgun case is airtight, watertight, and has a military grade plastic shell. The interior is easy to clean and undamaged by oils, solvents and heat thanks to the rubber lined contact points. 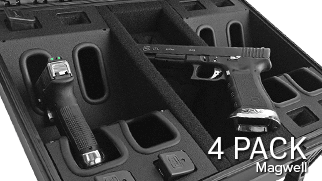 With space for handguns, magazines, and a storage compartment that has ample space for all your shooting range necessities, there is no need to carry another case/bag.